Grand Banks 36 Classic Motor Trawler 1970 lying Göcek, Turkey. 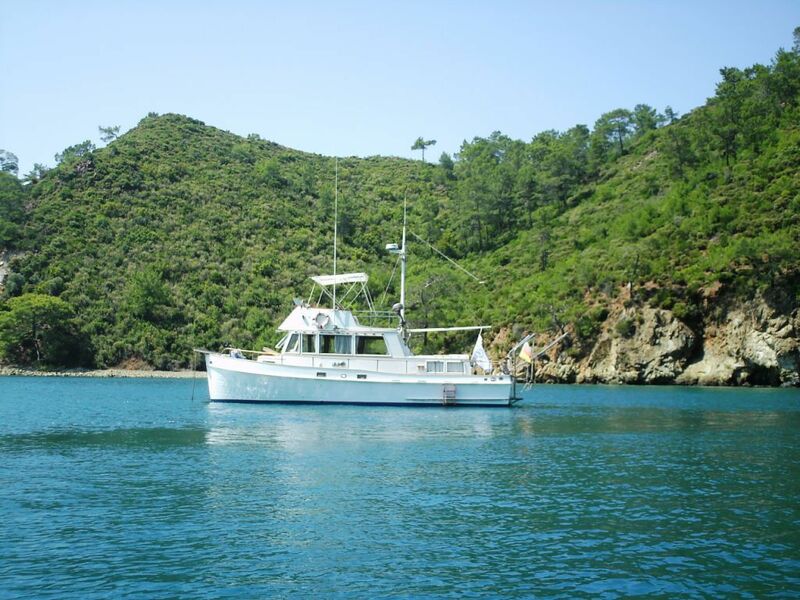 A lovely classic motor yacht with provenance lying in a lovely cruising area of the Eastern Mediterranean. 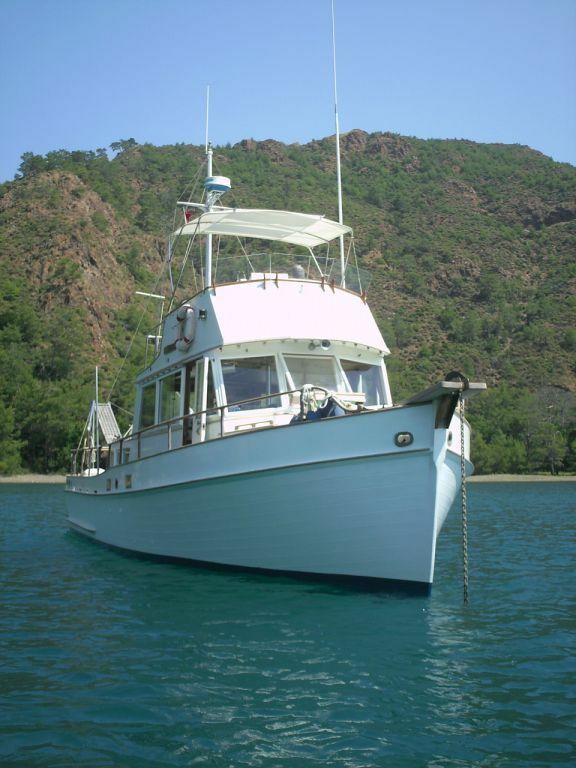 This Grand Banks 36 Classic Motor Trawler has twin Ford Lehman diesel engines, auto helm and radar. She will turn heads wherever she travels. 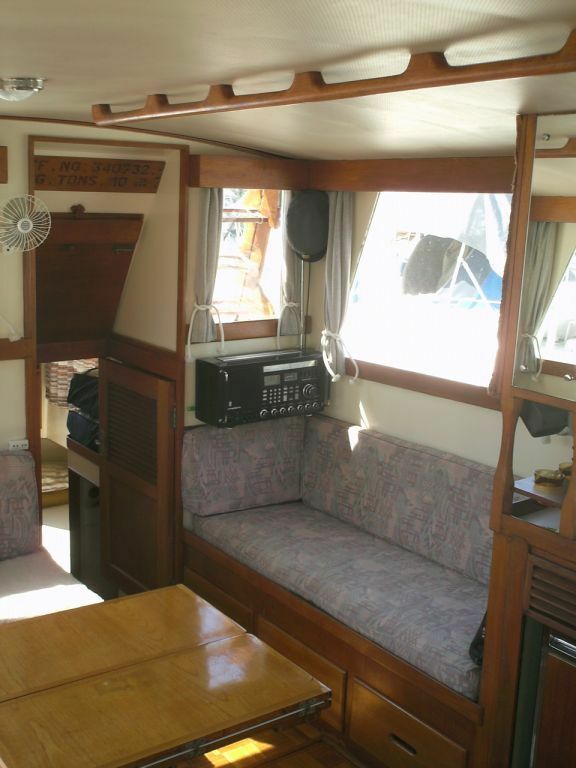 Boatmatch Tip: Want more advice about buying this Grand Banks 36 Classic? Checkout our Boatmatch Buyers Guide! 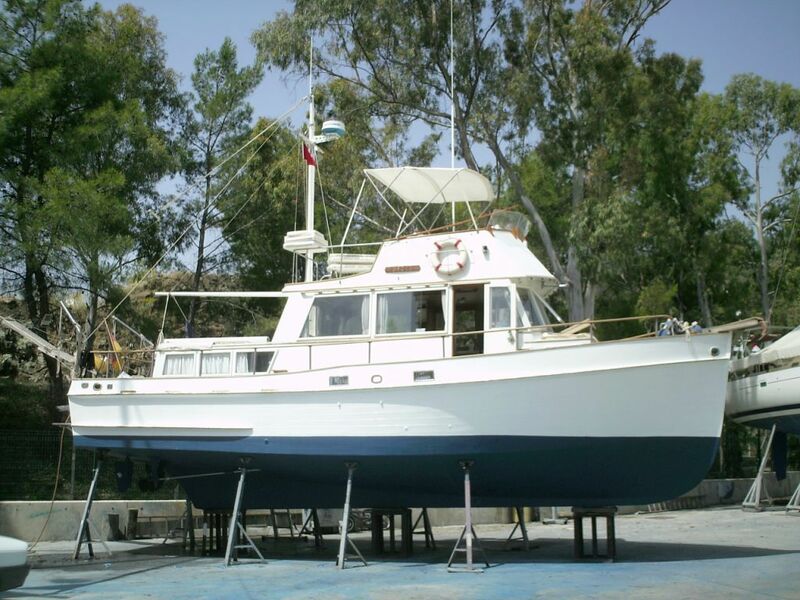 Boatmatch Tip: Need advice about possibly insuring this Grand Banks 36 Classic? 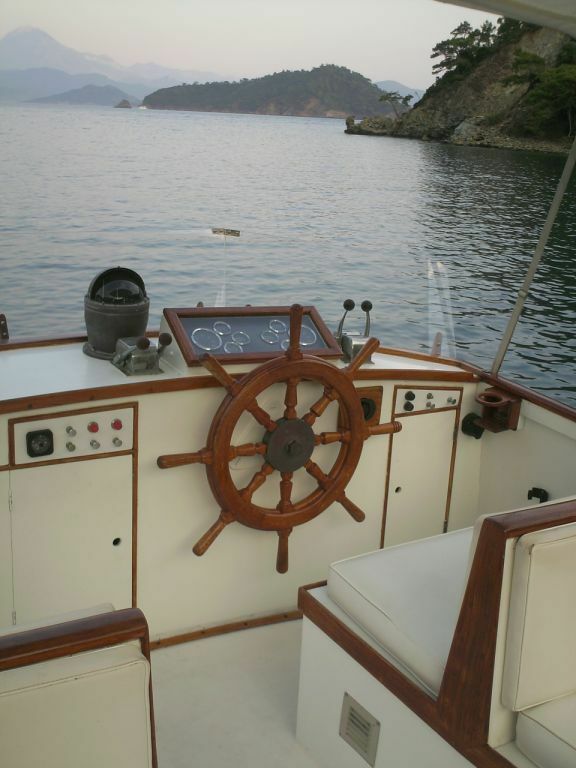 Checkout our Boatmatch Insurance Guide! Transom door to stern platform, bathing platform, bathing ladder, guard rail, teak gangway, davits, pressurized water system, pressurized warm water system, deck shower, bilge pump electric + manual, 3 x fire extinguishers, teak deck, JOKER dinghy, outboard engine YAMAHA 4 HP, additional big variety of tools, extras and spare parts.
. 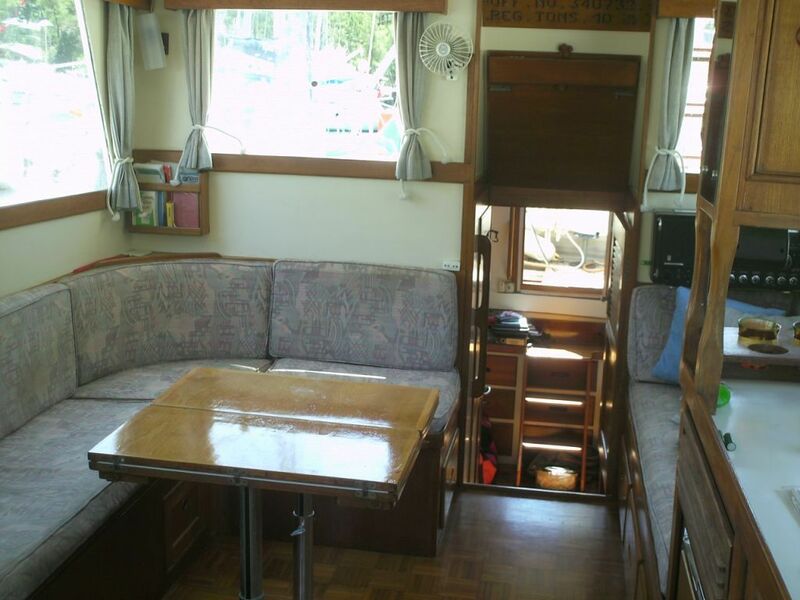 Contact the seller of this Grand Banks 36 Classic for more details. Gas stove/4 flames, sink, WAECO electric Refrigerator 12 Volt, cool box. 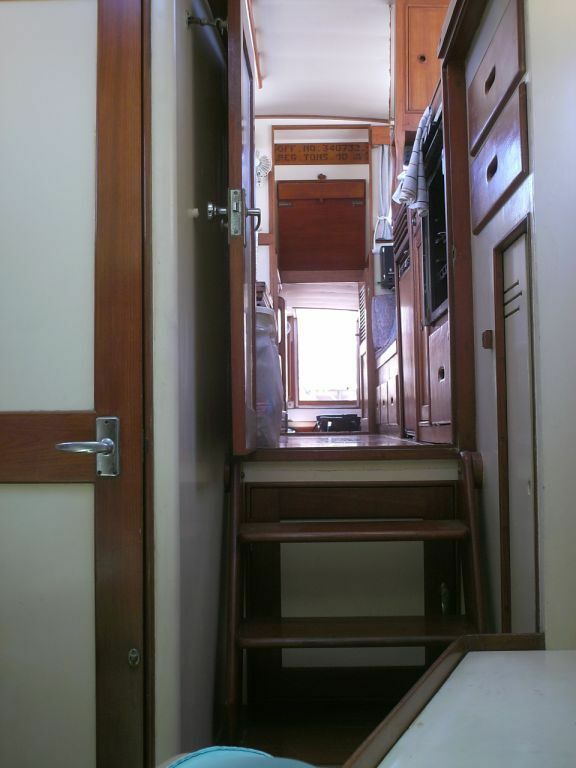 Boatmatch Tip: Have a question about the accommodation of the Grand Banks 36 Classic? Contact the seller via clicking on the registering interest button above. Initial ownership by the family of King Faruq of Egypt. 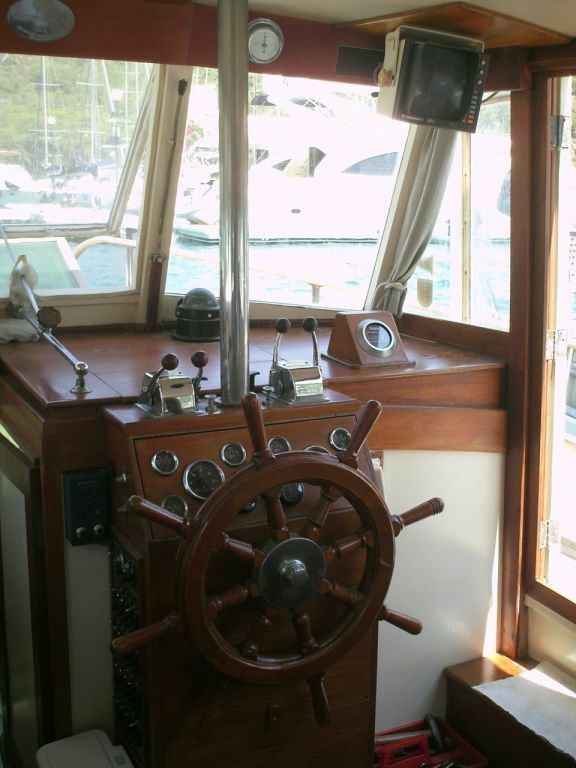 For real enthusiasts for a full-wooden (Mahogany/Teak) yacht, what means: cosy atmosphere, comfortable and solid cruising, profound maintenance and high attractiveness. 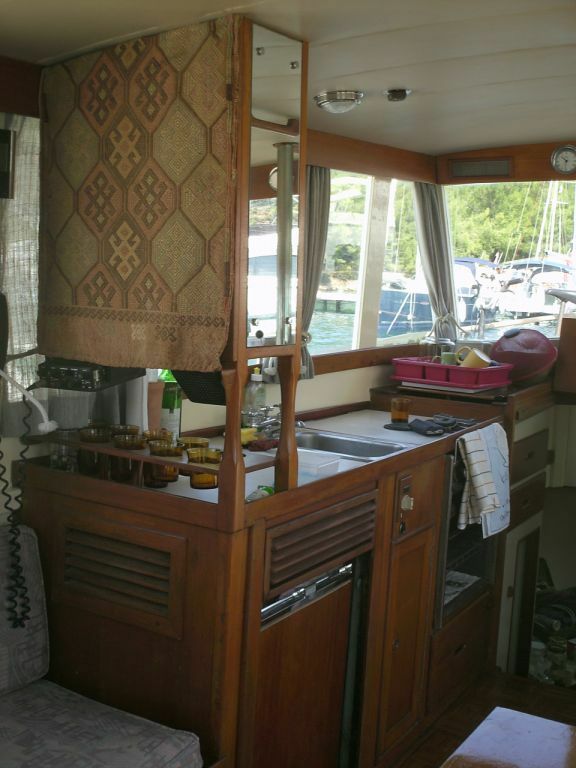 Grand Banks 36 Classic For Sale is lying in Göcek, Turkey. At 36 feet (approx. 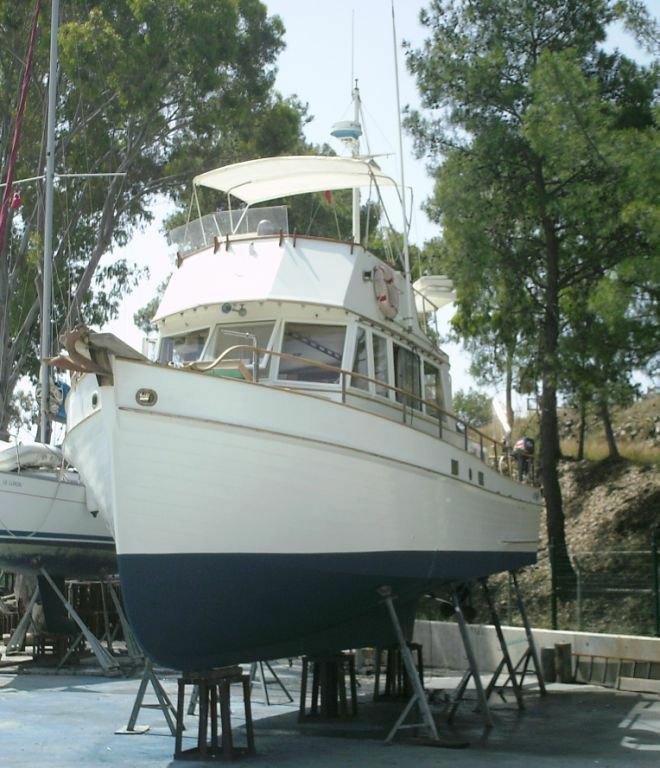 10.97 metres) this Grand Banks 36 is a bargain at €98,000.